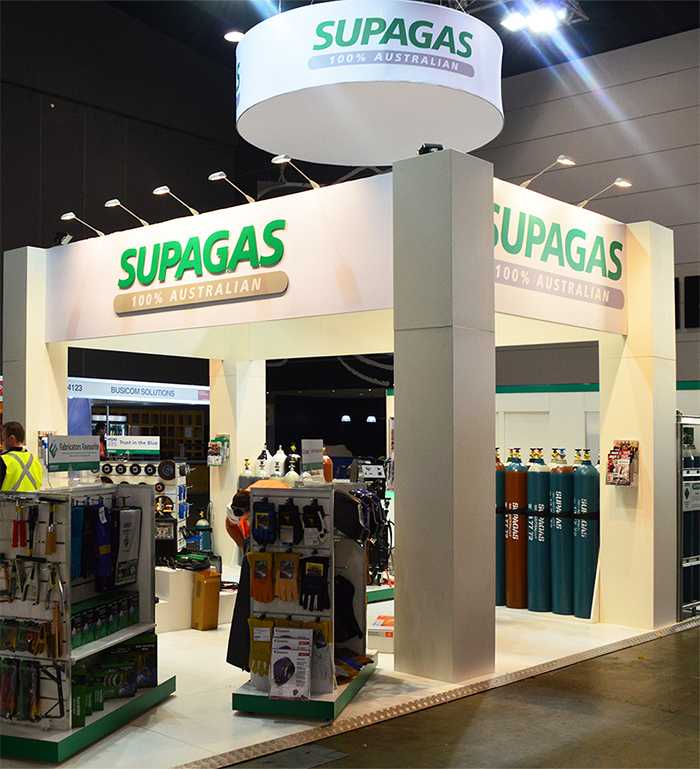 National Manufacturing Week concluded at the Melbourne Convention & Exhibition Centre on Friday, May 29, with the Supagas team achieving some great exposure and results. If you use gas at home or at work (industrial, welding, medical, hospitality, LPG or specialty), Supagas are the place to talk to; visit www.supagas.com.au for more information. While you’re there, checkout the range of associated products for gas usage, as well as for the fabrication and manufacturing markets. The 72m2 stand and it’s accompanying overhead signage could be seen from most of the exhibition floor, creating a magnificent focal point and destination for a large number of visitors to the show. 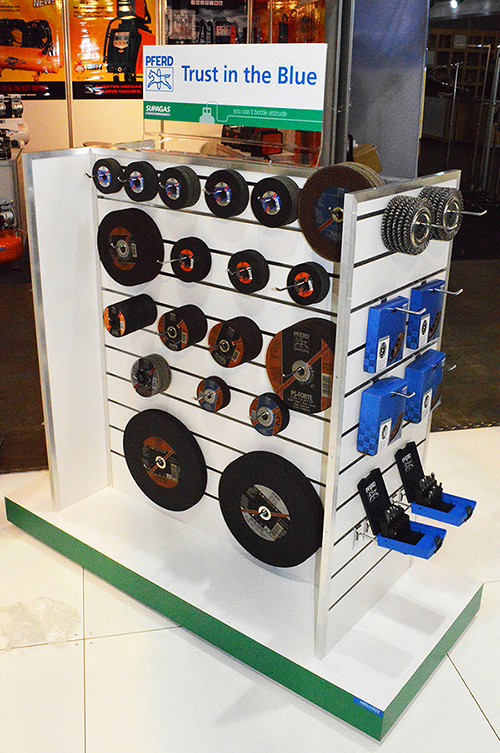 Proudly designed and built by Displayrite Resources, the stand featured meeting/storage rooms, overhead structures and signage, a large custom built counter, multiple product display gondolas and a number of product display plinths. Naturally, the numerous gas displays were a major drawcard to the stand, attracting a significant amount of interest from industry focused attendee’s. The large counter, built in the Supagas corporate colours, included themed prints and concealed LED lighting for additional eye-catching effect. Supagas exhibition stand at NMW2015. Main counter and meeting room. 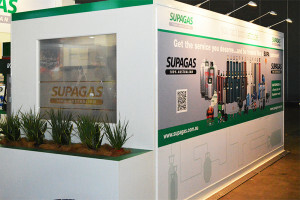 Utilising what would have otherwise been a blank wall, the Supagas value-add banner gained great exposure for the company and it’s products. 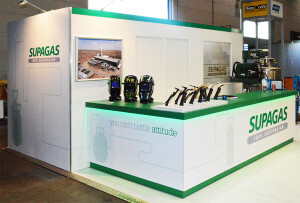 Facing towards a cafe/lounge area, a large number of prospective customers became further exposed to not only the Supagas gas range, but also a hint of the additional product and service range offered by Supagas. Custom made Supagas gondolas displayed a large range of complimentary industrial products, aimed at a number of market segments. 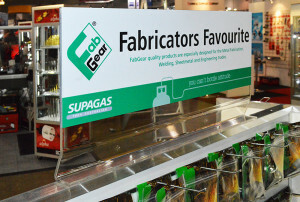 Acrylic header boards, with applied prints added the finishing touches to the gondolas.